COOLTECH is an engineering and manufacturing company specialized in providing custom thermal systems to the power electronic industry, combining liquid cooling units and cooling components. Our key advantages are the possibility to provide to our customers turnkey solutions to be easily integrated into their products and the all-around approach to any thermal problem. Become the leader in Liquid Cooling Solutions for Power Electronics applications through Change and Innovation in: Products and Services, Technologies, Customer Partnership and Lean Processes. We can take care of the entire cooling loop, from semiconductor to ambient. Our total quality system monitors all the steps of the full manufacturing process, from the design to mass production. 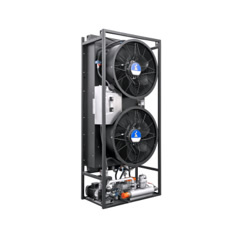 We design and manufacture cooling units according to customer’s needs. Our engineering team develops from a single subassembly for OEMs to a complete PLC controlled cooling solution. All our products, from cold plates to complete cooling units are designed in house by our engineering team with a focus on manufacturing feasibility and cost effectiveness. 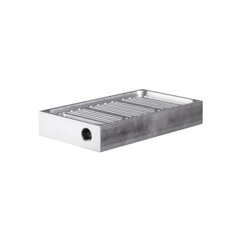 We design liquid cold plates and radiators. Discover our products!